You may be wondering why stainless steel has become such a popular metal for cookware? 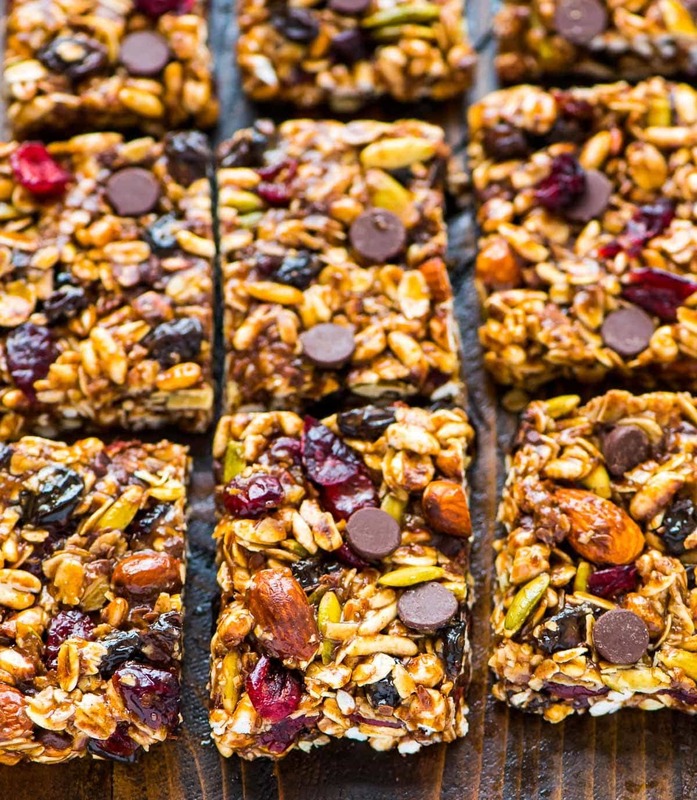 Recent studies have shown how dangerous some of the metals that people cook with can be. Chemicals from the cookware can get into your food and lead to a ton of problems in your body. Using high quality stainless steel is one simple way to avoid all that. With stainless steel you are avoiding any chemical reaction and that’s why it’s become the #1 choice for my many of the top chefs around the world. Health concerns aren’t the only reason you should be cooking with stainless steel. Let’s take a look at some of the other benefits. Healthy. Stainless steel is one of the best materials to use if you’re concerned about your health. 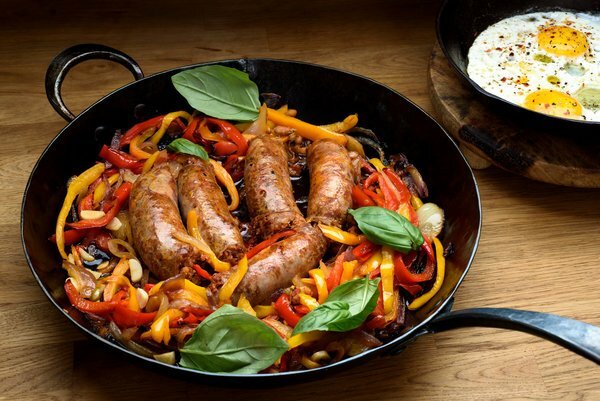 Nonstick pans will give you excellent no stick qualities but at the same time, you get the possibility of harmful chemicals leaching into your food. Nonstick cookware is covered with synthetic polymers PFOA and PTFE– the chemicals that give them their no stick qualities. Lab studies have shown these chemicals are toxic to animals. With stainless steel, there is no chemical reaction that occurs. Be sure to always look for surgical grade stainless steel in your cookware. Flavor Preservation. Just like cast iron, stainless steel does is used often by top chefs because it doesn’t leach any of the metals into your food. This is what you want in a top stainless steel griddle and you get that authentic restaurant flavor, without having to go to the restaurant. Many people still use unhealthy materials to cook with and this can also be very bad for your health. Appearance. One of my favorite things about stainless steel is that shiny look you get. As opposed to cast iron griddles, which have more of a classic old western style look. The polished look is nice to have around the house. Many of the top cooks in the world use stainless steel pots and pans solely for the elegant appearance. You can use them for many years and if you take care of them properly, they will always shine. Cleaning and Maintenance. One of the biggest concerns without a doubt is cleaning your stainless steel griddle. So many of the negative things people have to say about them is due to the fact that they clean them improperly and can damage them. However, using stainless steel griddles makes the process pretty easy. All I do is throw a little water on it when I’m done cooking and while the griddle is still hot. Then you can use a nice stainless steel scraper and paper towel to clean everything in seconds. You don’t need to soak anything for an hour and every time I clean my griddle it looks shiny and new. One other great thing I should put on the list is how hot these stainless steel griddle can get. I find that they get hotter quicker than most other types and stay hot for a long time. 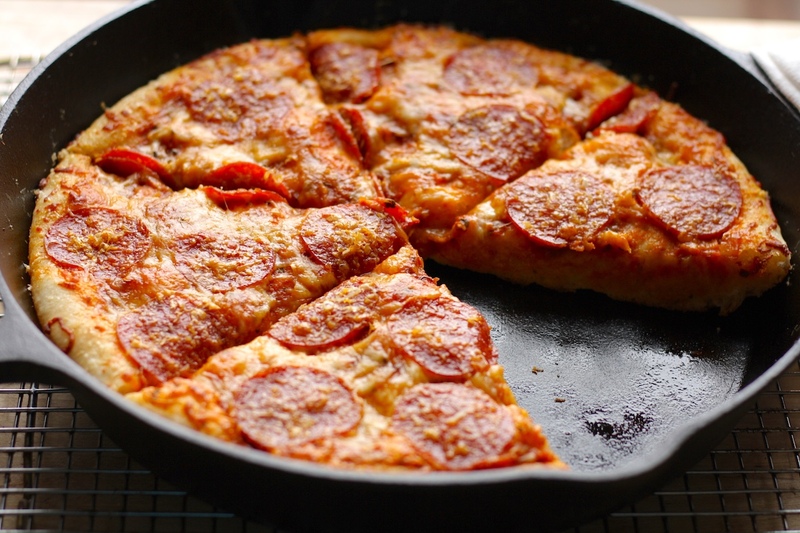 This is always great because you don’t want to wait around for a long time to heat up your pan. Now, let’s take a look at some of the different varieties of stainless steel griddles out there. What separates the good from the bad? You would think that they are just a slab of stainless steel and all of them should be similar, right? Well, not exactly. There are many options out there and some are just not good. 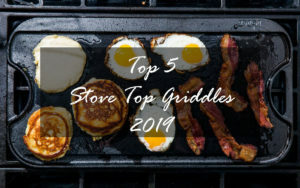 Hopefully, I can help you avoid the bad knock offs that are currently on the market and help you find the best stainless steel griddle out there to enhance your cooking experience! 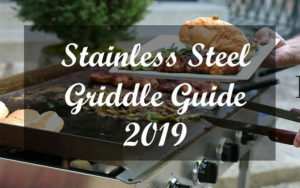 Earlier last year I revived the Blackstone griddle stainless steel in the outdoor griddle guide. I decided to buy one used for about $60 and I have to say that I am super impressed with this one! I’ve never seen so many reviews where people say that they’re in love with a griddle as much as this one. I’m not a big fan of the smaller griddles but I wanted to include this one on the list because I know many people don’t cook for a lot of people. 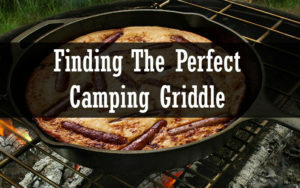 If you plan on cooking smaller meals or need a portable outdoor griddle, then this is the one. When I first got this one I seasoned it in a traditional way I season most of my griddles. SImply apply some good olive oil and let it sit and then cook the oil. Personally, I like to cook outdoors most of the time and sometimes the wind can affect things but the Blackstone griddle stainless steel griddle has nice little walls on both sides that prevent wind from affecting the food. After having a few people over to cook some burgers for them on the griddle, and a few of them honestly said that it was the best burger they ever had. Maybe they were just being nice but I will admit the taste is amazing! Currently, I have the Blackstone griddle stainless steel hooked up to a small gallon propane tank with a hose. 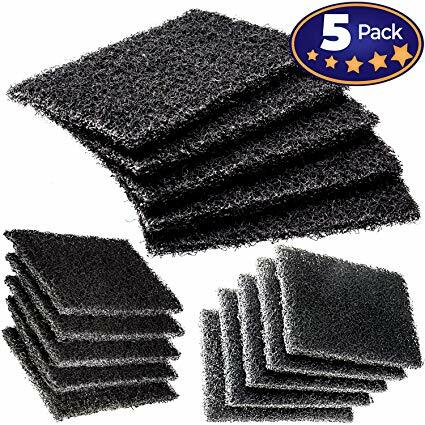 You can find these anywhere for a few dollars and it’s lasted me over a year and I’ve cooked with it several times. One thing I didn’t try getting yet is the carrying bag which is made by Blackstone. 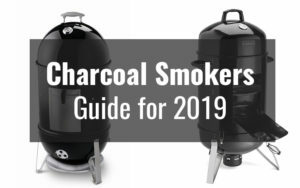 If you plan on cooking in parks or at other people’s houses then I would recommend picking that up, as you can also store all your seasonings in there as well. I’ve had nothing but excellent food happen with this griddle, very little issues. BUT I always like to see what others are saying. 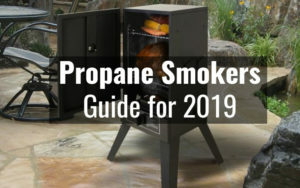 Some people have had issues with the propane and hose, which causes heating issues. Other people have complained that it rusts. While I always seem to hear the rust complaint with griddles, you can indeed take a few simple steps to prevent rust. Overall, I would have to say that this was a great purchase last year and I’m very happy with it. One of the most affordable stainless steel griddles on the market and you really get that restaurant style flavor that’s hard to find. 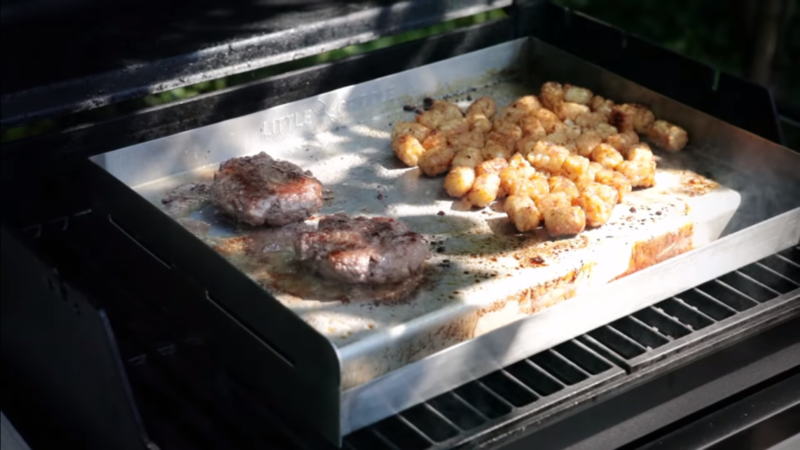 One of my favorite griddles for outdoor cooking, which happens to be 4-Gauge Stainless Steel, is the classic flat top griddle by Little Griddle. You can find a wide variety of shapes and sizes by this brand, many of which are all very high quality stainless steel. The classic SQ180 stainless steel flat top griddle grill is the one that I own and fits perfectly on my stove top and on just about every grill. I purchased the Little Griddle SQ180 a few years ago and was immediately impressed by the quality. The stainless steel is flawless and the underside of the griddle has a cross bracing which helps to evenly distribute the heat. This is as close as you can get to a commercial restaurant style stainless steel flat top griddle grill as possible. If you don’t feel like spending thousands of dollars on an actual restaurant griddle, then this is the best way to go. It does have a larger surface area than the Blackstone griddle, which I also love. This can be a good thing if you are cooking for a lot of people but if your cooking for yourself, what I like to do is set it on the stove top and only light two of the burners, in order to cook half of the griddle. Overall, a very impressive little griddle and one of my favorites and I plan to use this to make amazing food for many more years to come! Carbon steel is not stainless steel and is more similar to cast iron. However, I did want to add this to the list because I have been asked about carbon steel before. Let’s take a little look at what carbon steel is and how it differs from cast iron and stainless steel. Cast Iron has been used for centuries in tool making and cookware, it is made from pure iron and contains about 2% carbon. 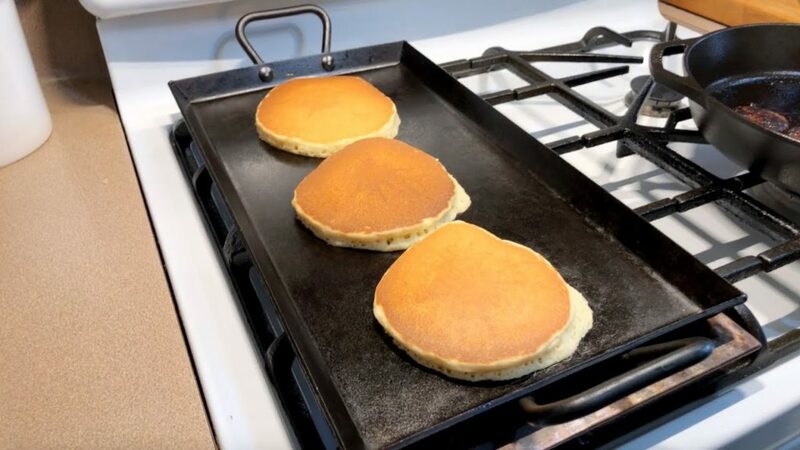 Once you pour a mold of cast iron it can’t change it’s shape, which is why many people have had the unfortunate experience of breaking their cast iron griddle. Carbon Steel is a more recent discovery and is much more durable than cast iron. When forging cast iron the process is similar to making a swords and knives and carbon steel swords are some of the best out there. It is safe to eat off of carbon steel and perhaps it should be replacing cast iron cookware. Due to it’s lighter weight and ability to survive falls from heavy heights, it is certainly giving cast iron a run for its money. Now that that’s out-of-the-way, how well does this carbon steel griddle perform? 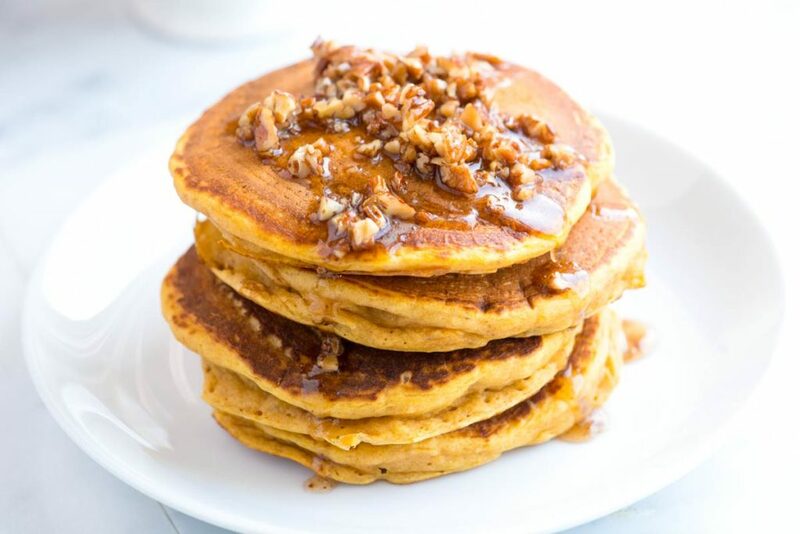 They are quick to heat up making them perfect for some quick pancakes. Carbon steel can also be placed on the stove or grill, similar to the stainless steel griddle. One of the benefits of a carbon steel griddle, over stainless steel or cast iron, is that they seem to be less expensive. personally, I have yet to buy a carbon steel griddle because I have so many different kinds of griddles and just don’t cook often enough. After diving into the reviews, they are bout 90% positive, with the biggest complaint being that they rust. No surprise there. unfortunately, I’m not an expert when it comes to all these different metals so I can’t recommend this one yet until I buy it. I do plan to purchase a carbon steel griddle sometime soon. One of my favorite pans that I own (that’s not cast iron)! I like to cook a lot of fish and this pan is my go to pan for that. It’s as heavy as many of the cast iron pans and holds the heat very well. If you own any nonstick cookware I would definitely recommend replacing them with stainless steel as soon as possible. Not only is the nonstick cookware bad for your health but the flavor you get from the stainless steel griddle pan is just far superior. The biggest downside of stainless steel griddle pans and probably why people don’t use them more often, is that they are more expensive than nonstick griddles and pans. However, I can assure that they are well worth it and what’s my important than your health and the health of the people you are cooking for? There are few difference I noticed between cooking with stainless steel griddle pans and cast iron pans. First, they heat up faster and as usually don’t put your food on the griddle until it’s hot. People that complain about food sticking are not letting the pan heat up to the right temperature. Second, cleaning is way easier. Just put a few drips of hot water after your done cooking and wipe it off with a scotch pad or paper towel. This is the same technique I use for cast iron and works just as well. You should wait until the pan cools down to really scrub it though. As far as the quality of this stainless steel griddle pan, it’s about as good as I could find. 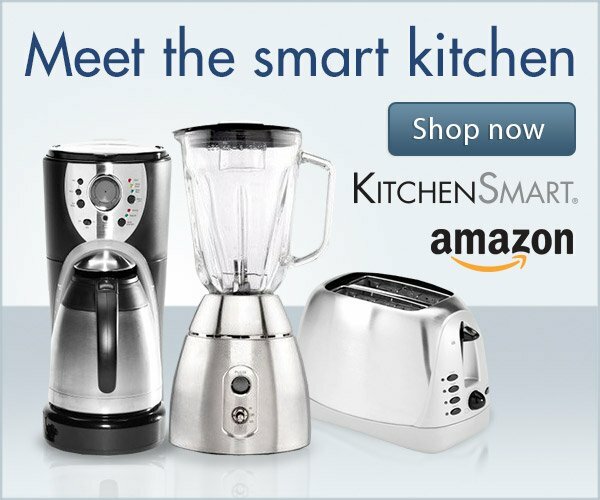 Similar to the European cookware that costs a ton of money. Overall, it’s a beautiful stainless steel griddle pan that gets the job done in style. Highly recommend this one for you if you are still using nonstick cookware. What stainless steel griddle review would be complete without covering at least one stainless steel electric griddle? 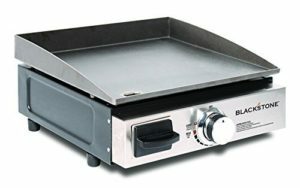 unfortunately, there are not many options when it comes to finding a good stainless steel electric griddle. To be honest, I’m not sure why that is and I really think that there should be more options. I personally don’t own one simply because I was not able to find one that I liked. 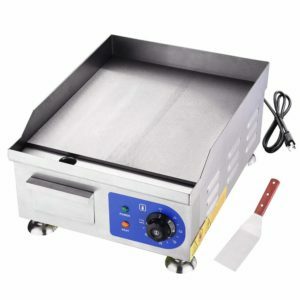 The Yescom 1500W 14″ Electric Countertop Griddle Stainless steel Adjustable Temp, was the only one that I could find that boasts an actual stainless steel surface. Upon doing a little more research I found that it can be difficult to use electricity to heat up the stainless steel electric griddle. This is why the majority of them are used on a gas range, which heats up very quickly. I would like to try this one out and have been looking for some used ones on eBay but haven’t found one yet. 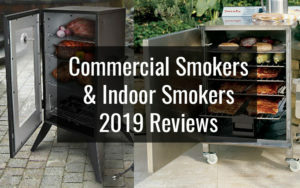 They reviews are pretty good with the biggest drawback is that it takes quite a while to heat up. 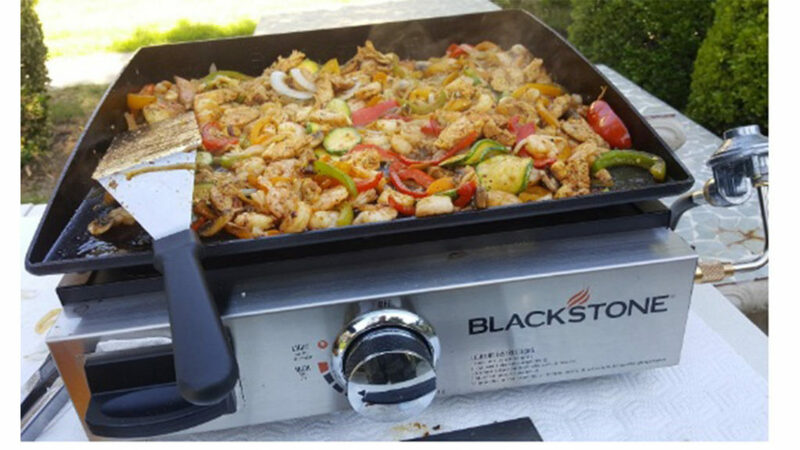 With the Blackstone griddle stainless steel you don’t have to worry about paying an extra amount on your electricity bill, since it uses propane. So, I would stick with the Blackstone for now. 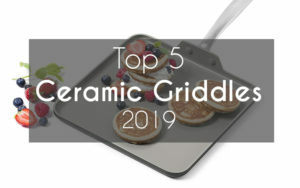 It does not matter whether you are using a stainless steel griddle once or twice a week or once or twice a month, it is essential to take utmost care of the griddle. There are ample ways to cleanse a griddle. 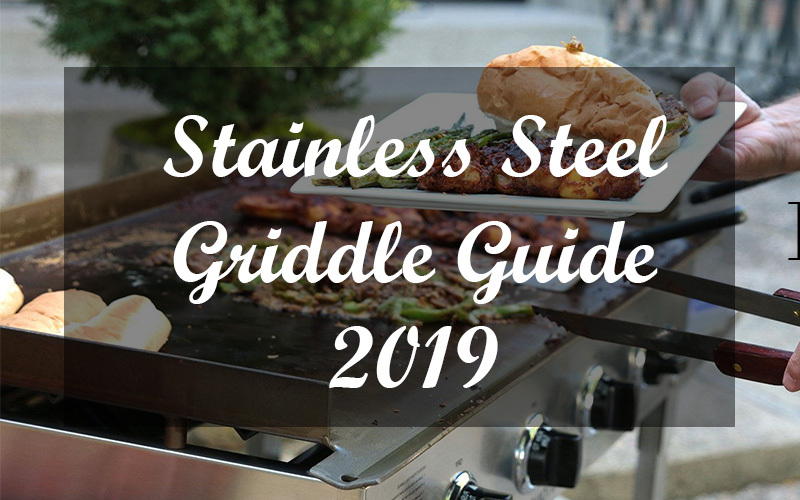 Here are some of the tips and guidelines to maintain a stainless steel griddle. It is imperative to thoroughly cleanse and scrape food particles present on the griddle on a daily basis. When you are cooking meals, traces of fats and juices would remain on the outer surface of the griddle. If it is left uncleaned, grease and grime combine together to form a gummy layer making it extremely difficult to wipe out debris. Most of the commercial griddles, which are used in hotels and restaurants, are designed with a stainless steel surface. 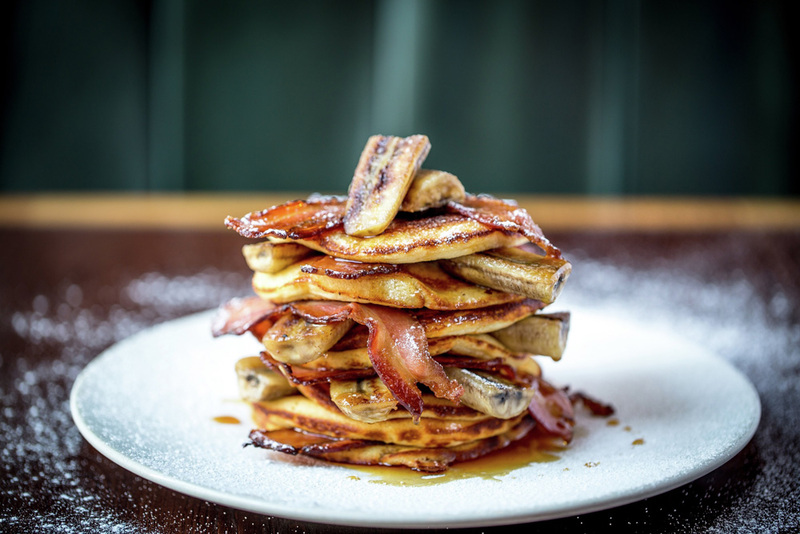 Owing to its heat retention properties, majority of the chefs prefer chrome top griddle. 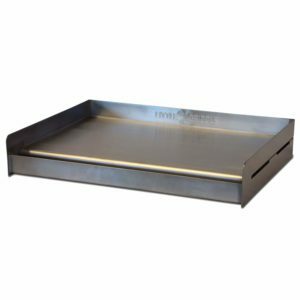 The cleaning process of a chrome top griddle might vary when compared to non-chromium surfaces. However, they are extremely easy to clean if it is maintained properly. 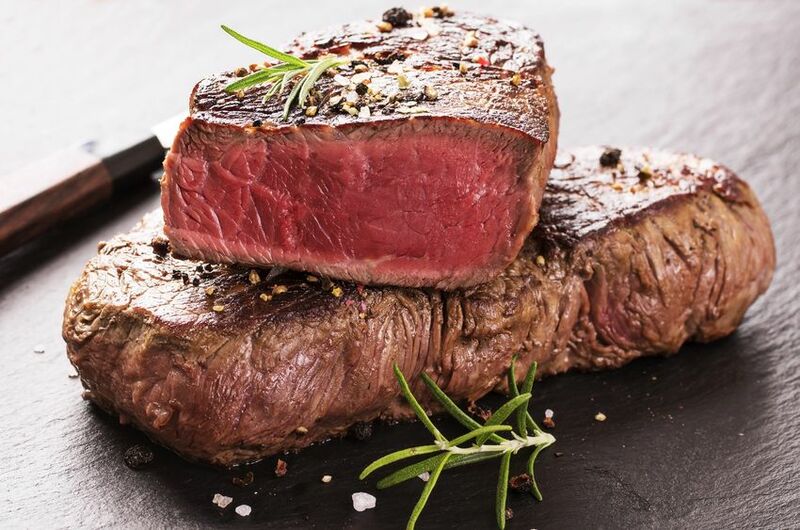 To remove excess grease and food particles, make use of a grill scraper. One can seamlessly scrape traces of food directly into waste drawer of the griddle. You can empty it once it is finished. 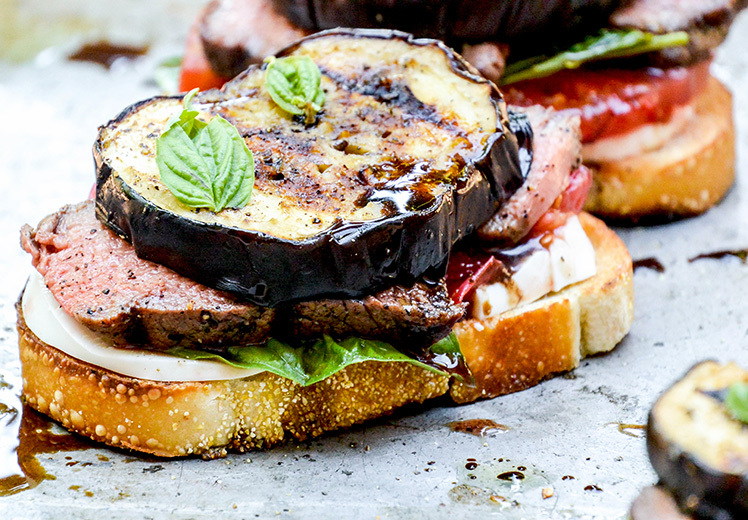 Griddle or a grill brick can be used to gently wipe-off food and grease. Thoroughly cleanse and sanitize the waste drawer at the end of the day. Later, use a clean cloth to polish foremost part of the griddle. Now unplug the unit and let the griddle to cool-off at least once a week. Clean the entire surface by using a fresh cleaning cloth along with a non-abrasive griddle cleaner. Stainless steel have a great tensile strength and highly resistant to corrosion, oxidation at extreme temperatures. They are primarily used when temperature rise to 1700 degree Fahrenheit and 2000 Fahrenheit. Stainless steel are widely used in super-heater exchangers, valves, boilers and feed water heaters. Furthermore, they are implemented in the field of aerospace and aircraft applications as well. Seasoning a stainless steel pan on a regular basis could prevent accumulation of debris. 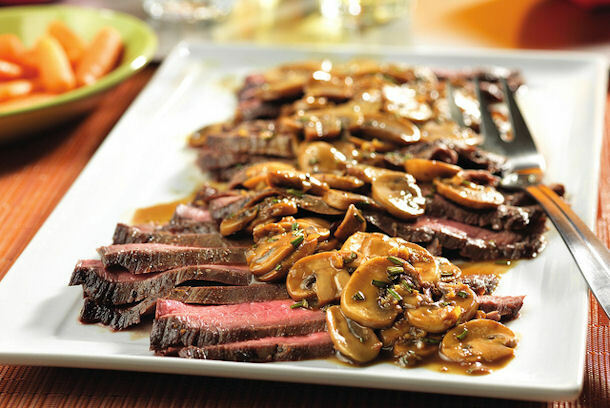 Majority of the food items when properly cooked do not stick to stainless steel pans. 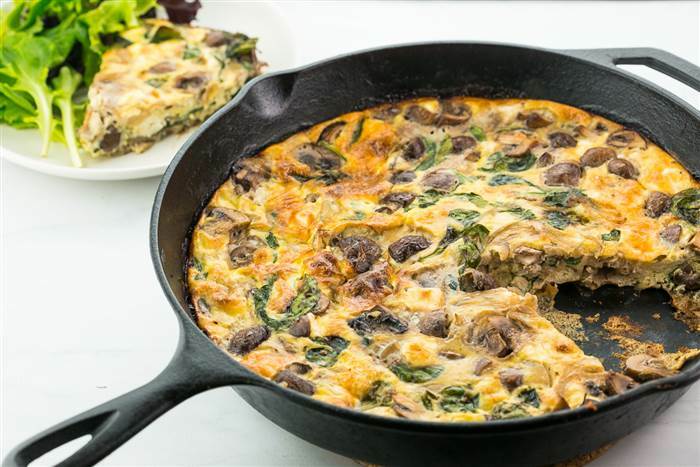 On the other hand, egg dishes are more likely to stick to the outer surface of the cookware. 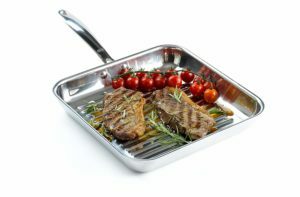 Seasoned pan is the ultimate solution, which is helpful in blocking sticking of food particles. First, thoroughly wash the pan. Then pour warm water and make use of a dish detergent to scrub both interiors and exteriors of the cookware. Later, rinse and dry the pan. Secondly, use your fingers to coat the interiors with a layer of oil. The stainless steel pan can be seasoned either over the stove or in an oven. Adjust to medium heat and place the pan over it. Let it remain as such until the oil starts to smoke (recommended only if using a stove). Set the temperature to 350 degree for duration of about one hour (recommended only if using an oven). As soon as the pan is removed from the heat, allow it to cool for a few minutes in order to handle it easily. 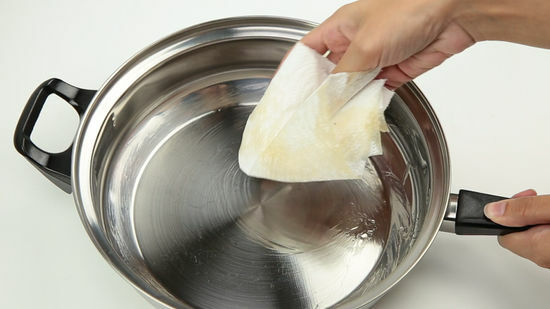 Make use of a paper towel in order to remove the excess layer of oil. To prevent scratching, it is always better to put a layer of paper towel in between the stacked pan. The experts recommend avoid washing a seasoned pan with organic soap. They suggest using a paper towel to wipe off the debris present on the interiors of the pan. If you still find the presence of food items, then you may thoroughly scrub the pan using salt and oil. In general, Stainless steel flatware is least expensive and very low maintenance is required. They are not susceptible to formation of rust, oxidation, spotting and scratching as well. However, appropriate storage and regular maintenance would enhance the shelf life of a stainless steel flatware. Majority of the stainless steel are marred due to formation of moisture content and presence of cleansers on the outer surface of the cookware. These issues can be solved once it is hand dried and buffed. Unlike other alloys, regular cleaning is essential in the case of a stainless steel. The cleaning procedure involves applying warm soap and pouring water over the metal surface using a sponge. Detergents can also be used if necessary. In order to wipe off or cleanse intense stains, polishes or exclusive steel cleaners might be required. However, you need to make sure that you do not use powders since it could lead to formation of rust and scratch. Try to avoid using harsh chemicals like acidic cleaners since it could dull the interiors of the cookware. Thoroughly rinse the stainless steel pan using warm water. It is essential especially if you are using acids or chlorides. Do not resort to solvents at small spaces since it could catch fire instantly. Keep metal brushes at bay since it might cause scratches in the interiors of the cookware. These would in turn cause rust and accumulation of bacteria. To cleanse excess food particles, pour some water into the pan and place it over the burner. Now turn on the stove and allow it to boil. Add two tablespoons of salt along with one tablespoon of baking soda into the hot water. Adjust the flame to low or medium. Let the mixture boil for a duration of about thirty minutes. You may use either a plastic or a wooden spatula to scrape off the residue present in the interiors of the cookware. A baking soda paste can be made by pouring small quantity of water into the pan and mix it with baking soda. If you find that the pan contains burned marks, sprinkle baking soda to those burned spots and gently wipe-off with the help of a sponge. The baking soda is found to be effective in dissolving the burn marks. 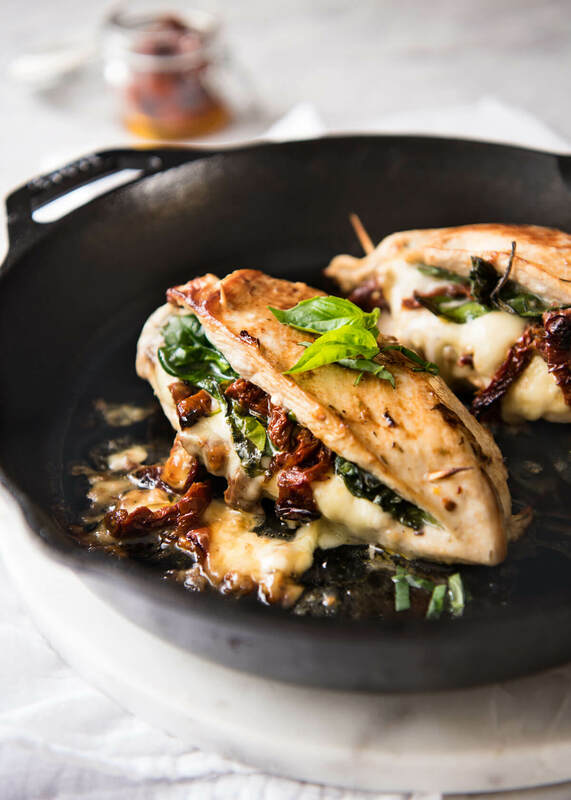 If you’re looking for that authentic restaurant style flavor, a Stainless Steel Griddle is the way to go. 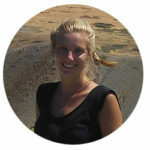 Over the past years they have become more and more popular. This is becuease they have become more affordable and people are realizing just how good the food tastes. You also don’t have to worry about toxic chemcials getting into your food, which can be a problem with other griddles that use toxic coatings. Overall, I would highly reccomend getting into Stainless Steel if you have not. Buy one as a gift for a friend or family member and they will love you for it!